The Monarch butterflies are widely found throughout North America especially the United States of America. This post contains affiliate links, which means that if you click on one of the product links, and make a purchase I’ll receive a small compensation. Thank you for your support! 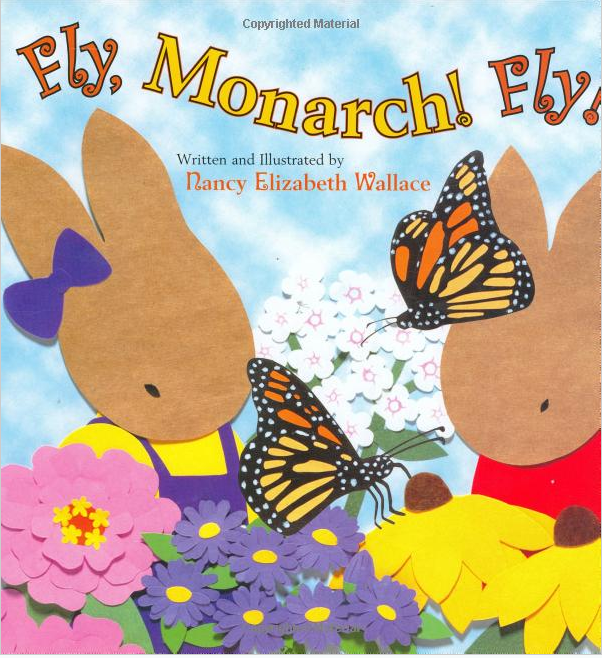 Little one and I read the children’s book Fly, Monarch! Fly! by Nancy Elizabeth Wallace the Kindle version. It’s a sweet and educational picture book on how a family of rabbits learns about the spectacular butterfly life cycle. They learn all about monarchs, metamorphosis, and monarch migration. My son really enjoyed the story, and he was fascinated on the different stages of the monarch butterfly. This book is colorful, educational, and entertaining! My son especially enjoyed the “jokes” found through out the book. 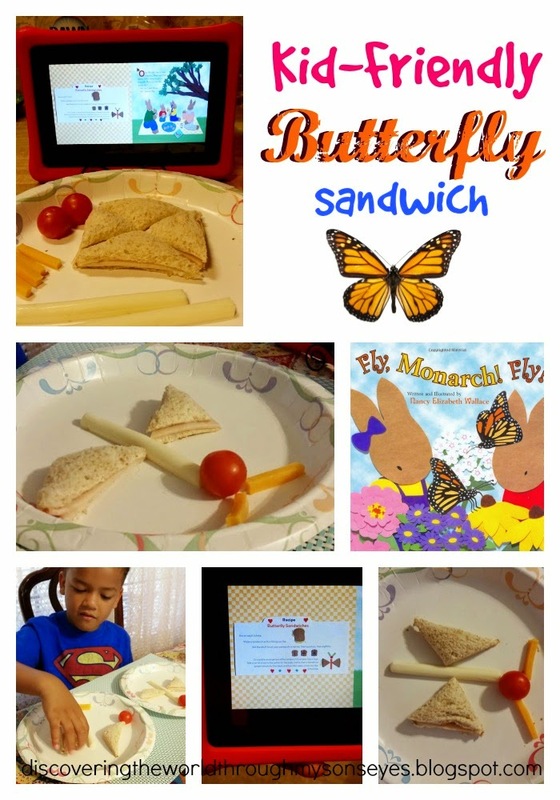 It’s a very hands-on book as well with instructions on how to make your own butterfly sandwich, and a butterfly craft. For breakfast little one of course, made his own butterfly sandwich! I made the sandwich filling with a little bit of mayo, and a slice of deli meat. I went ahead and cut it for him, and gave him a mozzarella stick (for the body), cheddar sticks (for the antennas), and a grape tomato (for the head); and I let him assemble it all by himself. I found a simple coloring page on the life cycle of the butterfly here, and you can have your child make a cute monarch butterfly craft printable from Learn, Create, Love. 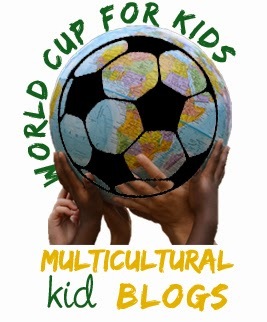 As a member of the Multicultural Kid Blogs, I am so excited to be participating in the World Cup for Kids series. Each blogger will be writing about each participating country, and we will be sharing some fun and educational resources on the U.S.A. For every day that the U.S.A. teams play I will be posting a fun, learning activity about each country. Be sure to periodically check the Multicultural Kid Blogs for the most current updates and post on each participating country. You’ll find a wealth of educational information for your children. Also, if you’re like me, and love Pinterest take a look a the MKB World Cup for Kids Pinterest board!